The South American Sea Lion is found throughout the South American coastal region.The blackish pups become dark brown with a lighter chest as they mature. The adult males have a massive neck and chest and a characteristic upturned snout. Males grow up to almost 3m long and weigh up to 300kg and females up to 2m and up to 150kg in weight. South American Sea Lions’ main foods are octopus, squid, crustaceans and small fish, although they have been known to hunt penguins. Every year large breeding and nursing colonies (rookeries) are formed with each male having a harem of roughly 10 females. 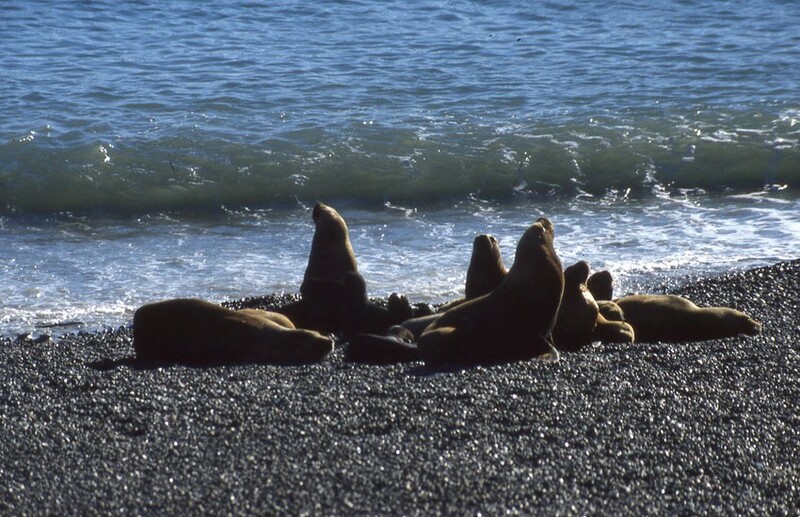 South American Sea Lions are found from Norethern Peru as far south as Cape Horn. When at sea, most individuals prefer coastal waters, with adult males ranging furthest. Many breeding sites are on islands and in other areas with limited human disturbance, and sandy beaches are more often used than rocky shores. 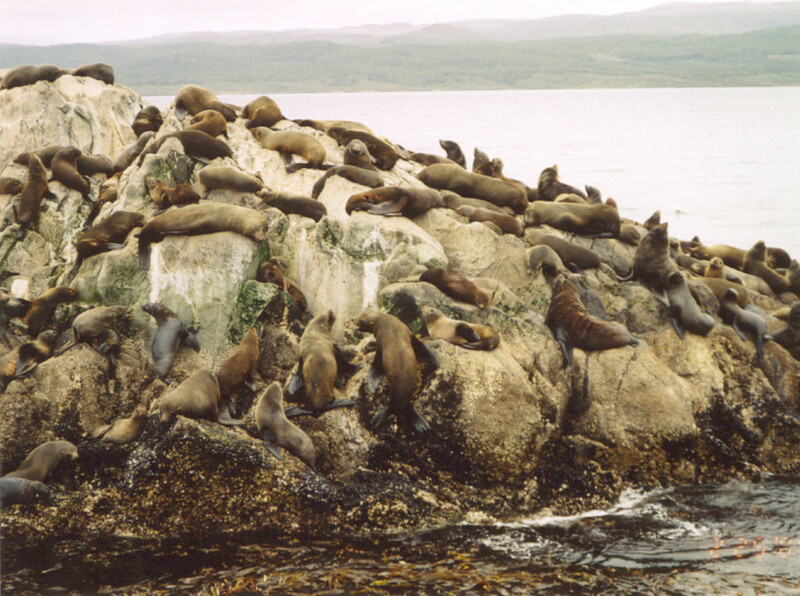 The South American Sea Lion has been a victim of the fur trade in the past, which caused a significant decline in numbers of individuals and in their range. Today, although it is illegal to kill sea lions in Argentina, numbers are still declining due to conflict and persecution by fisherman who will shoot sea lions that enter their fisheries. Also drowning in fishing nets is a worrying threat.